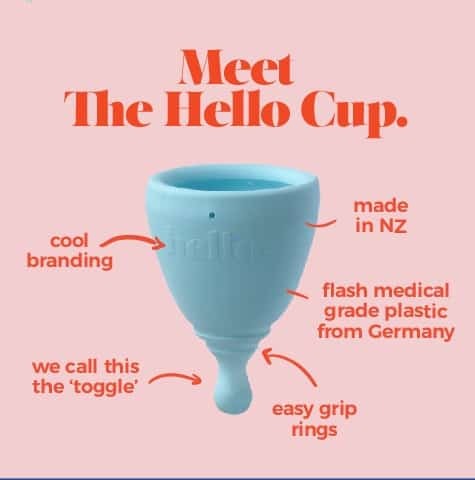 Designed and made in New Zealand, the Hello Cup is manufactured from high quality TPE plastic (thermoplastic elastomer). Unlike silicone cups, the Hello Cup is fully recyclable once it reaches the end of it’s life. The Hello Cup has a completely smooth outer top rim and is comfortable and soft to the touch. It is also hypoallergenic which is great news for women who may have silicone sensitivities. 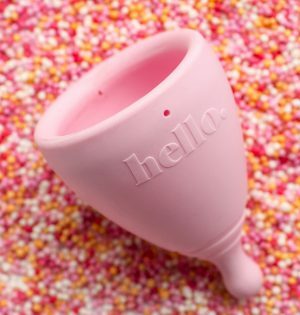 Most women can wear the Hello Cup for up to 12 hours or overnight. However, if you have a heavy flow, you may need to empty it every 3-4 hours during your heaviest days, and then leave it for up to 12 hours on your lighter days. 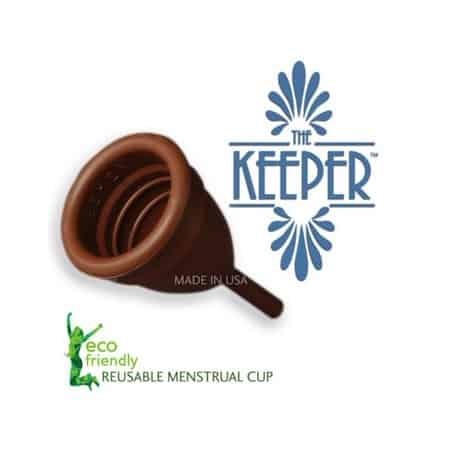 This is the case for most menstrual cup brands. Many menstrual cups recommend using a ‘C’ fold for the easiest insertion. The Hello Cup however, is best inserted using a shallow punchdown fold. It is best that the fold is shallow and does not go all the way down to the bottom of the cup. Fully recyclable – that’s the cup and the packaging! XS – Specifically designed for younger users, super-fit petite women, or for those that prefer a mini tampon. The XS Hello Cup is slightly smaller than the regular sizes. 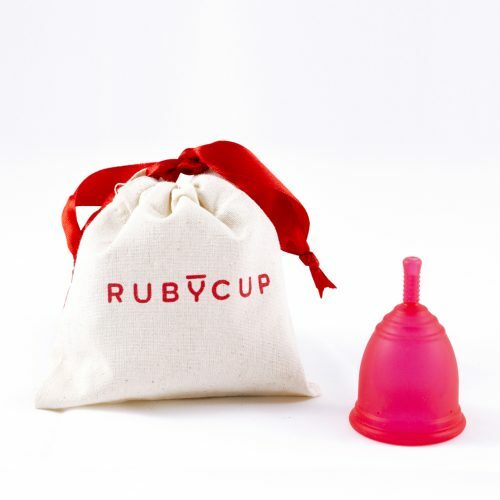 It is also softer, making insertion and learning to use a menstrual cup a little less daunting. Available in Lilac only. Small/Medium – the most popular size. This size is recommended for women who are under 35 years of age and who have not given birth. If you are a particularly fit woman with an excellent pelvic floor, then the S/M should be fine for you regardless of age. Available in Blue or Orange colours. Large – the best choice for women who have given birth and/or are over the age of 35. Available in Fuchsia or Blush colours. Some staining is normal in any brand of menstrual cup (especially in lighter colours). To help reduce staining, it is best to rinse your cup in cold water after removing. 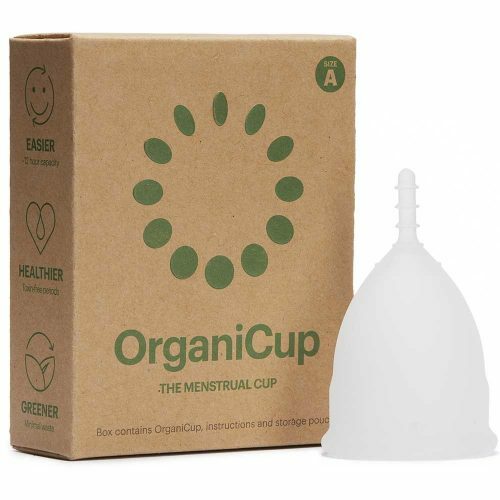 You can then wash with a mild soap or one of the many menstrual cup washes available. If staining has set in, then you can try using a dilution of white vinegar and water, or lemon juice and water in a 1:2 ratio. Let you cup soak in this mixture overnight and then wash as normal in the morning. I love my new cup. It’s a little firmer than I’m used to, but have adjusted well. Would make a cute gift as the packaging is sweet as! Some difficulty initially but really good after getting used to it. The cup holds odd shapes and doesn’t open round, but oval. Best decision I’ve made changing to a cup from sanitary products. So easy to use, much less hassle, easy to clean, amazing! I love my hello cup!